The game of cricket is a lot about technique and fine-tuning. Well, not anymore, as hardware by Intel and start-up Speculur could potentially turn it more into a numbers game. With the Speculur BatSense installed on a cricket bat, the attributes that make up each swing is measured and transmitted by a patch that’s stuck just below the bat handle. Powered by an Intel Curie system-on-a-chip, the attachment records important data about each swing: the back lift angle, impact angle, bat speed at impact, time to impact, follow-through angle and max bat speed. 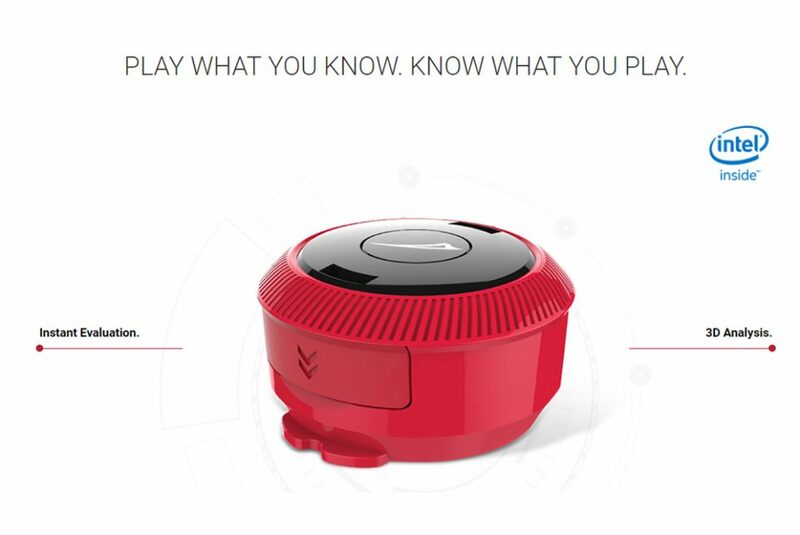 The hardware is very straightforward, as an enclosed round disc that syncs data to either a propriety app or a computer. Here at PSFK, we have seen the Intel Curie on wearables. There are these clothes that read you stress levels in real time. Another one is its use in the Shift IQ for running, where it uses clever algorithms to provide coaching for your running. The Speculur system was first debuted at the International Cricket Council (ICC) Champions Trophy, together with other Intel products. 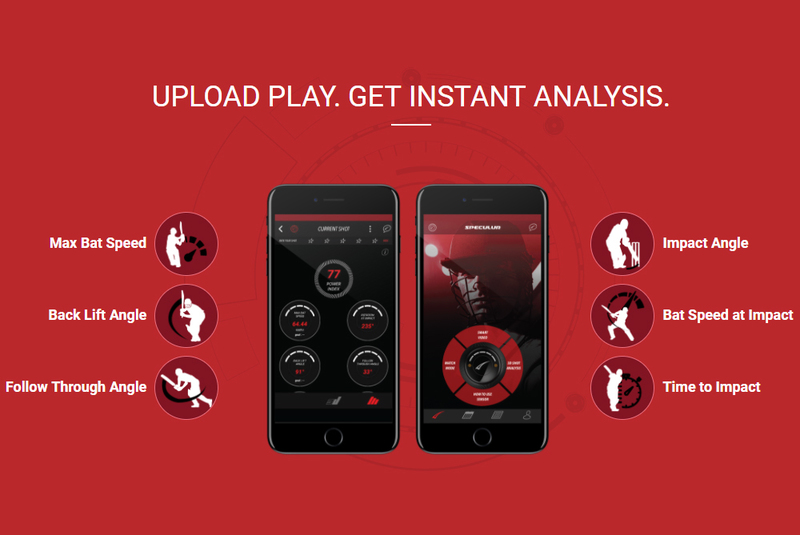 The BeatSense was used to provide a deeper look into every swing by the top players. With every hit, the commentators had more information to work with to make their call, spotting errors and praising perfection in real-time. Along with BeatSense, Intel also employed drones for a more in-depth analysis of the play. 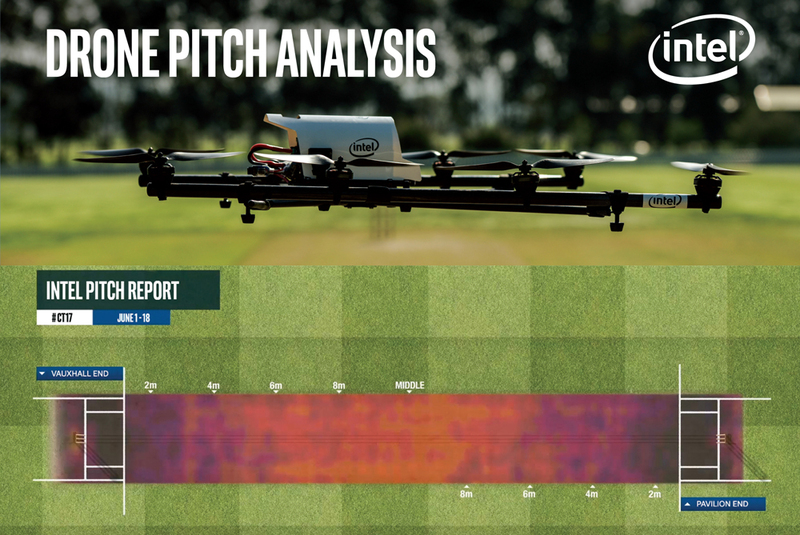 The drones measured the playing field, providing information on the topology that could affect a player’s performance. Those at home were treated to a much more intimate look at the world’s second most popular sport. According to the Speculur website, the device will be available at leading sports retailers soon. No word yet on just how much it will cost.